Ole Troelsø is the leading ‘smørrebrød’ writer in Denmark and in “Denmark’s Best ‘Smørrebrød’” he scrutinizes the different genres in the industry from traditional to avant-garde. He portrays the most important personalities, visits the restaurants, entering the kitchens to lure the signature recipes from each restaurant from the head chef. He shares his huge knowledge about ‘smørrebrød’ in an extensive historical chapter, going all the way back to the Viking ages. At Restaurant Kronborg we are proud and honoured to have been chosen as one of the 12 restaurants to be portrayed and to contribute with the recipe of one of our signature ‘smørrebrød’ dishes for “Denmark’s Best ‘Smørrebrød’”. What’s Special about Restaurant Kronborg? “Restaurant Kronborg is like a well-kept vintage car, which has had the engine renovated and is kept in prime condition and nicely polished,” writes Ole Troelsø in “Danmarks bedste smørrebrød”. 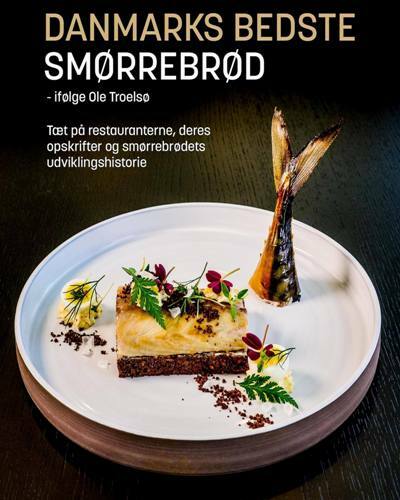 “Denmark’s Best ‘Smørrebrød’” hit the streets on 1 September 2018; the book is DKK 295 and can be purchased at Restaurant Kronborg during opening hours (as long as stock lasts).